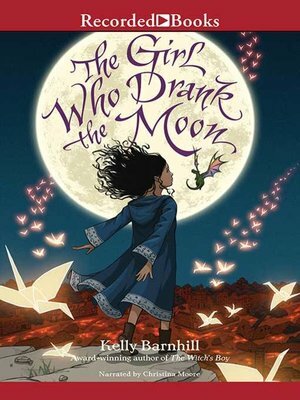 A young girl raised by a witch, a swamp monster, and a Perfectly Tiny Dragon must unlock the dangerous magic buried deep inside her in this epic coming-of-age fairy tale from the highly acclaimed author of The Witch's Boy. Every year, the people of the Protectorate leave a baby as an offering to the witch who lives in the forest. They hope this sacrifice will keep her from terrorizing their town. But the witch in the forest, Xan, is kind and gentle. She shares her home with a wise Swamp Monster named Glerk and a Perfectly Tiny Dragon, Fyrian. Xan rescues the abandoned children and delivers them to welcoming families on the other side of the forest, nourishing the babies with starlight on the journey. One year, Xan accidentally feeds a baby moonlight instead of starlight, filling the ordinary child with extraordinary magic. Xan decides she must raise this girl, whom she calls Luna, as her own. When Luna approaches her thirteenth birthday, her magic begins to emerge on schedule—but Xan is far away. Meanwhile, a young man from the Protectorate is determined to free his people by killing the witch. Soon, it is up to Luna to protect those who have protected her—even if it means the end of the loving, safe world she's always known. The acclaimed author of The Witch's Boy has created another epic coming-of-age fairy tale destined to become a modern classic.